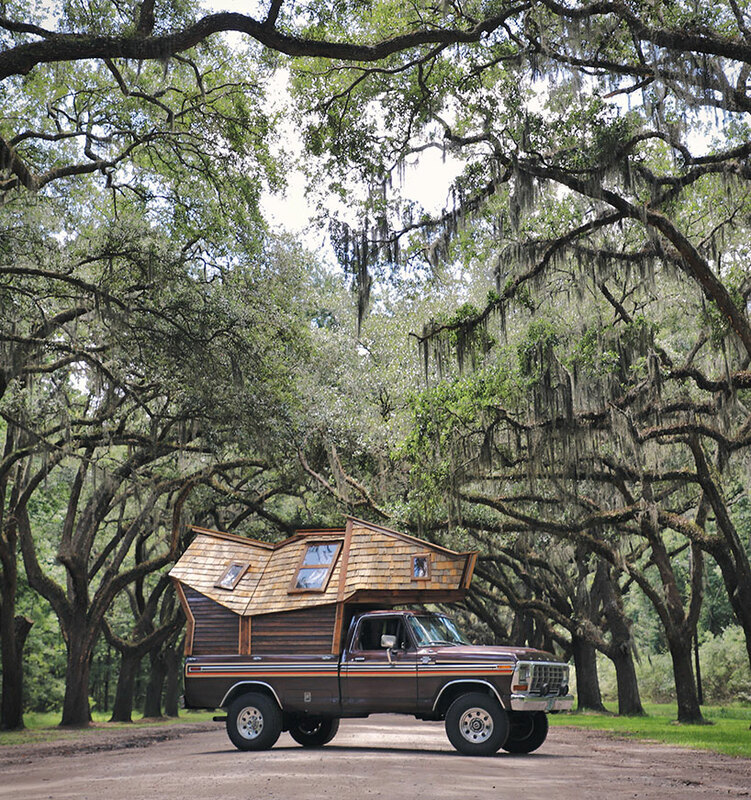 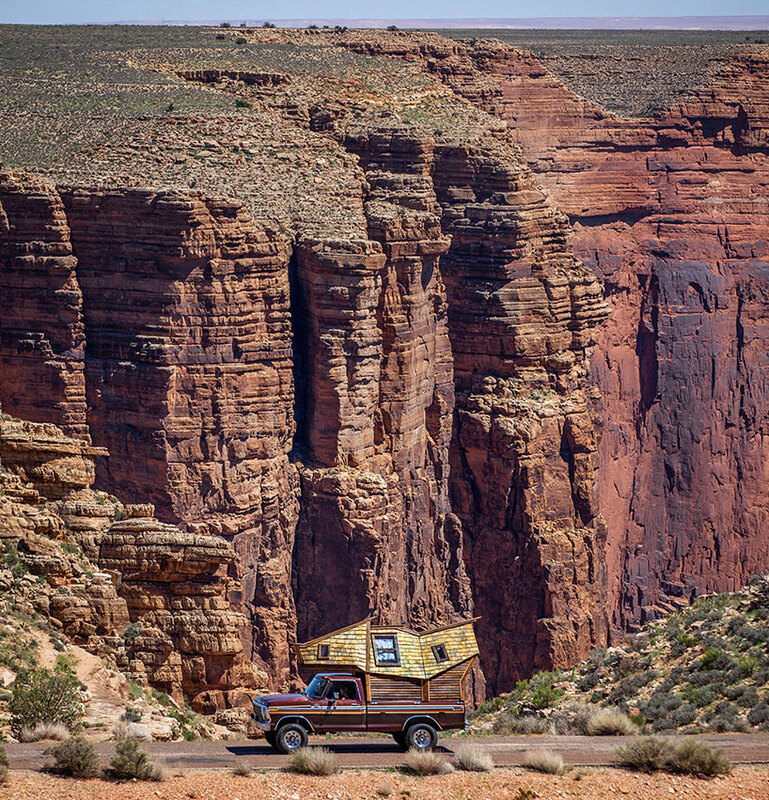 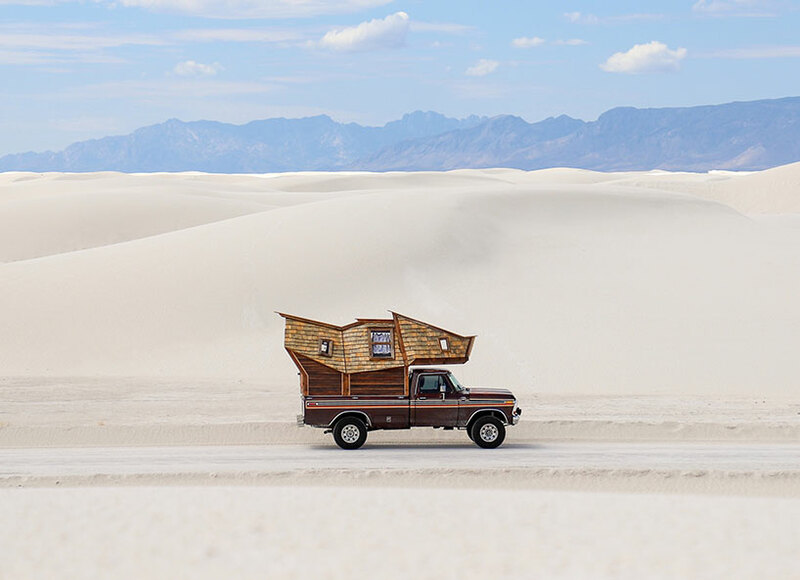 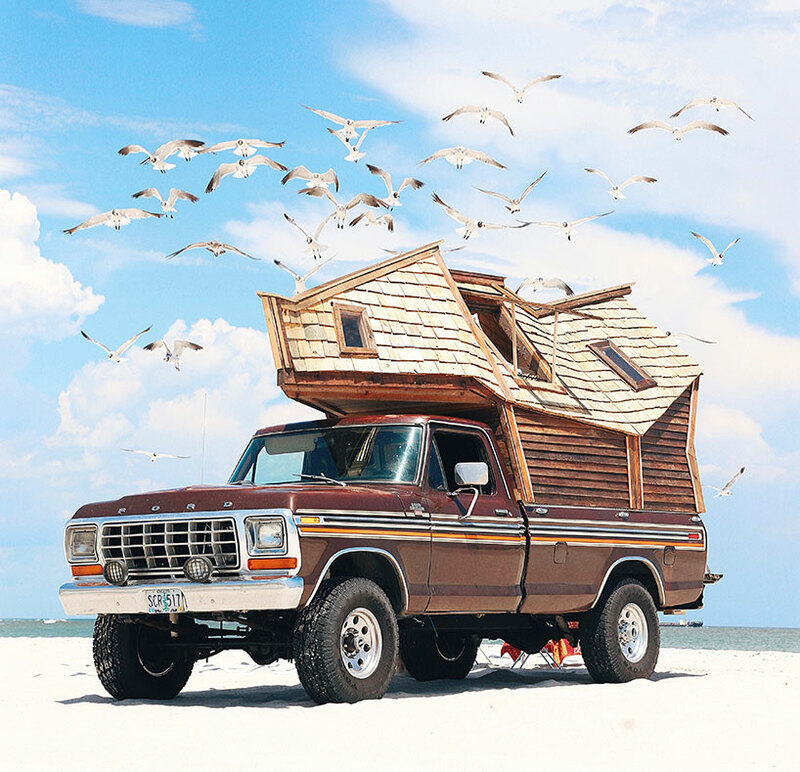 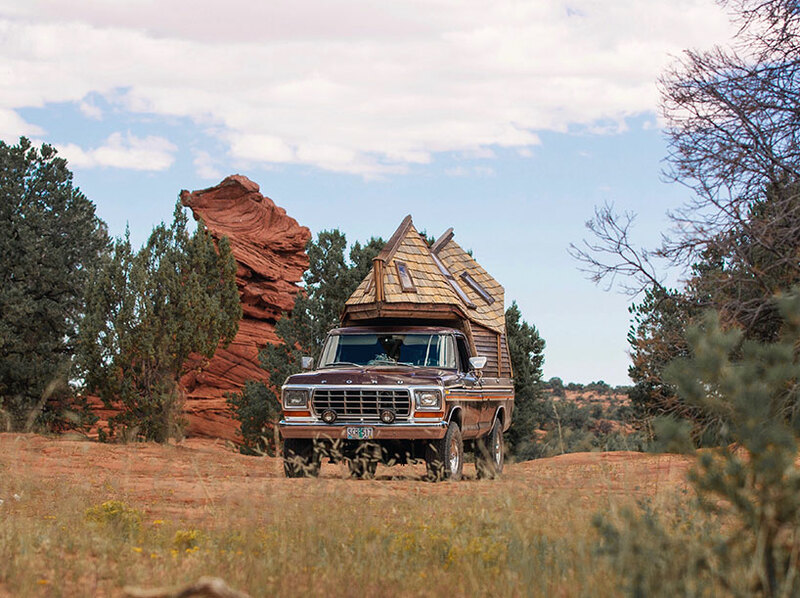 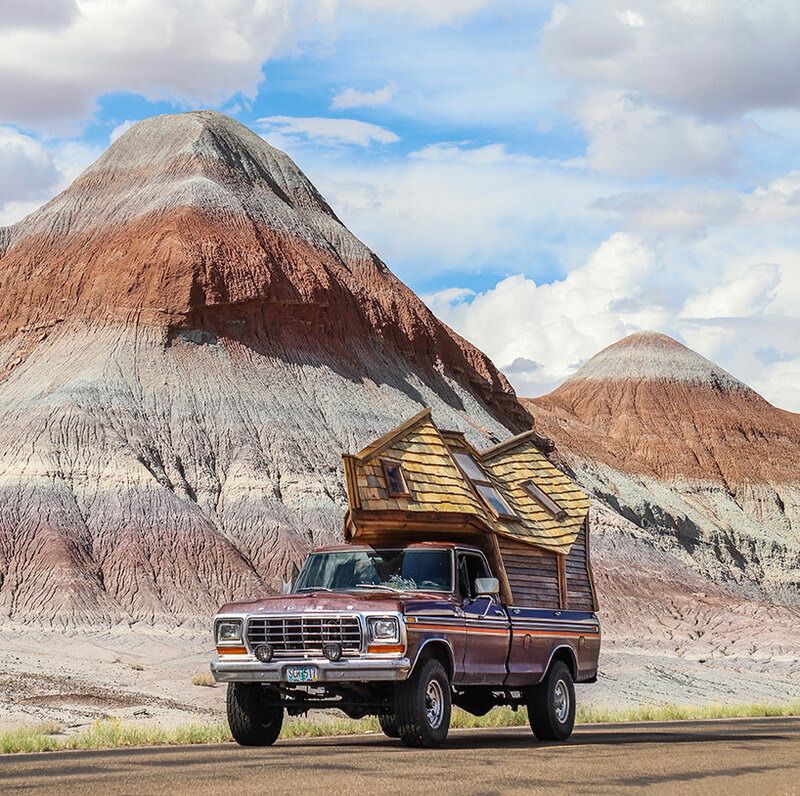 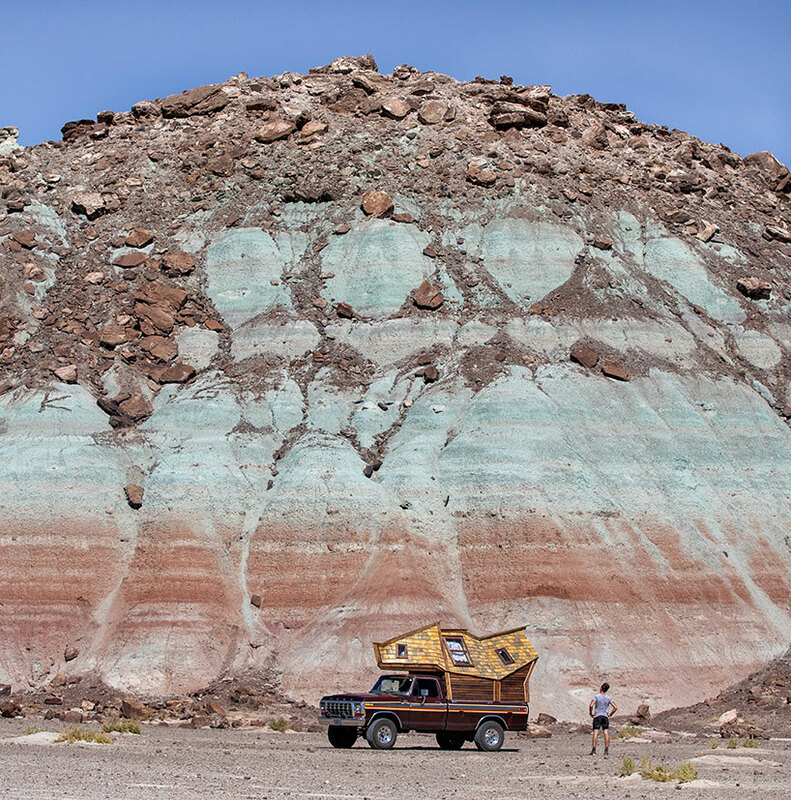 jacob witzling is a cabin builder (and second grade teacher) currently driving this eccentric and extraordinary truck cabin around the united states. 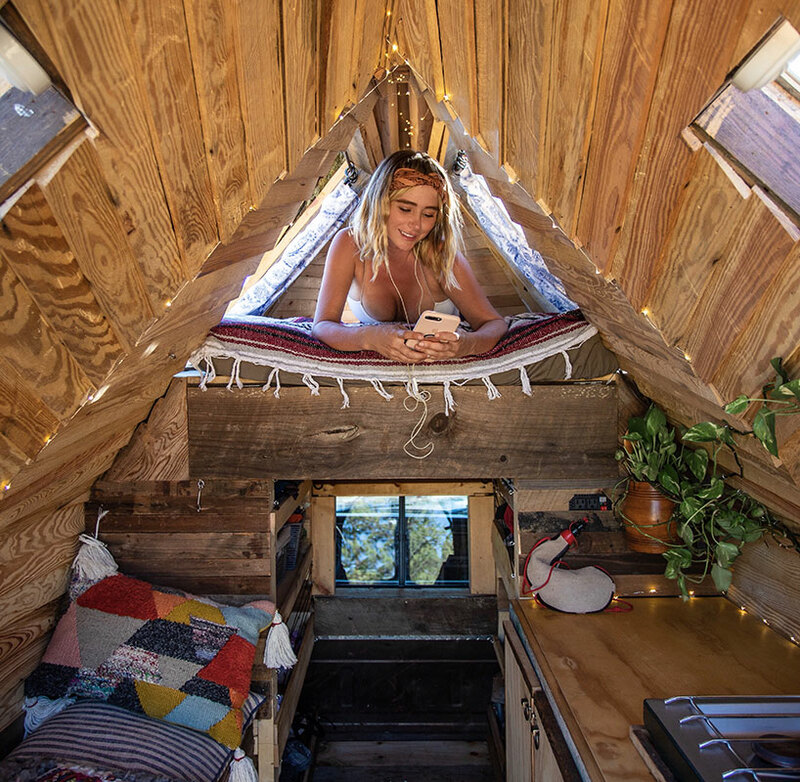 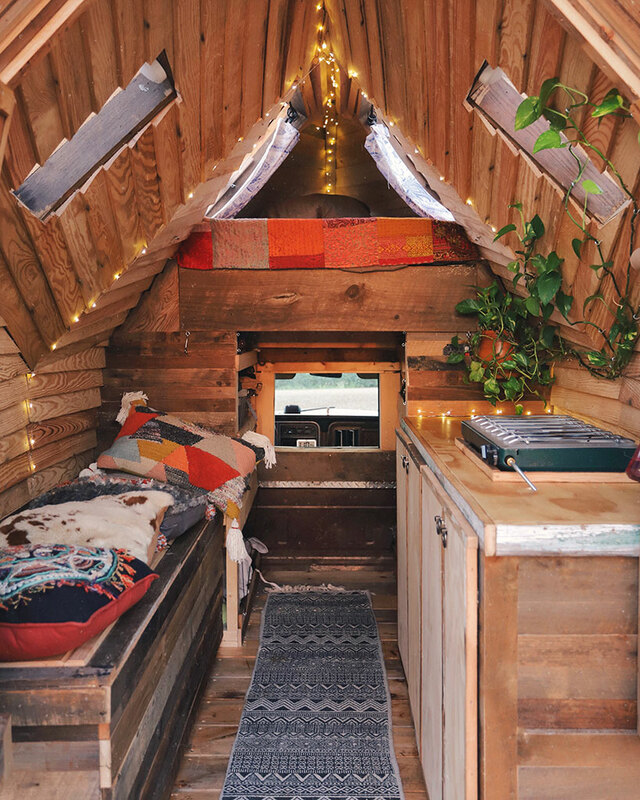 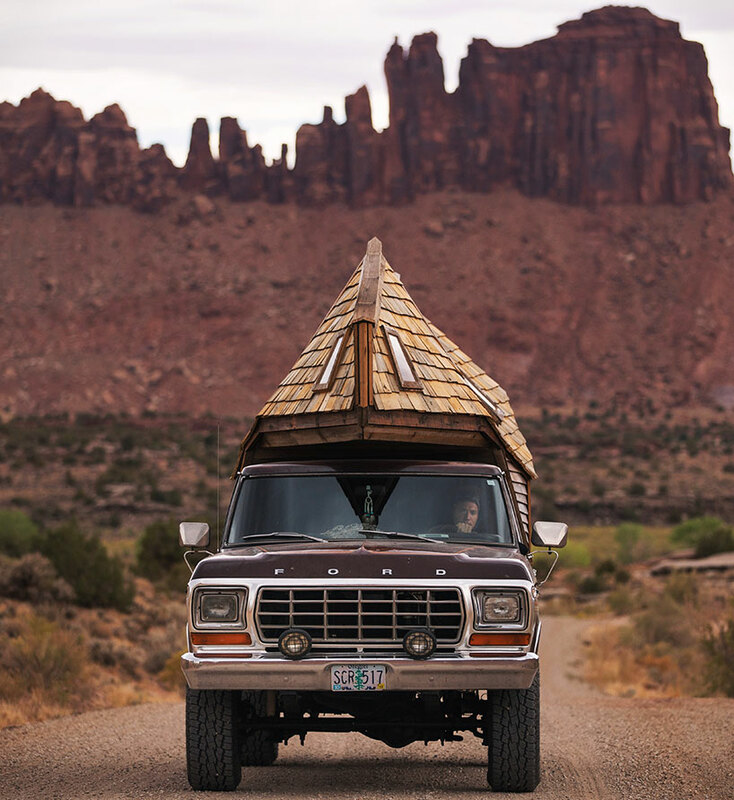 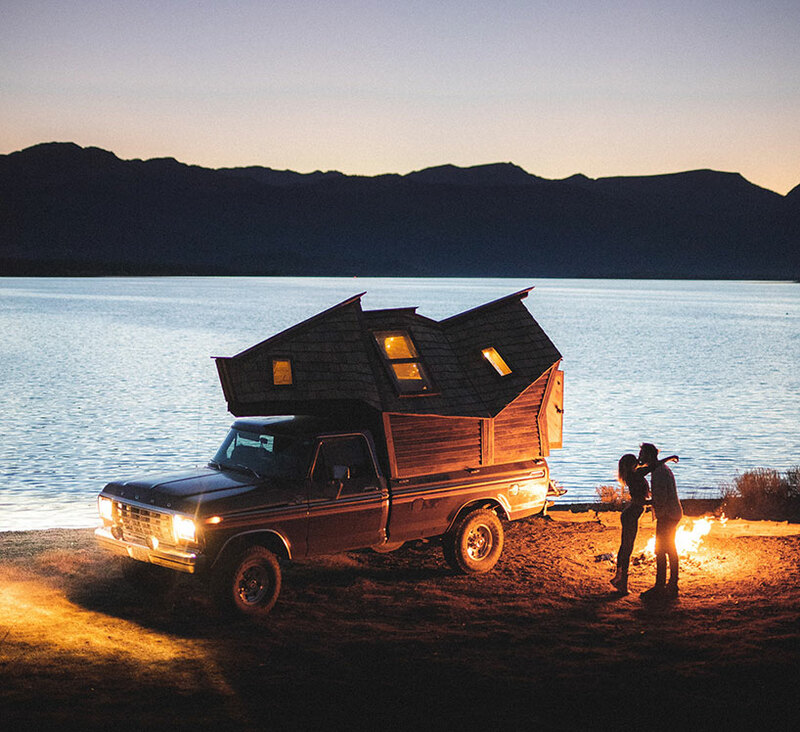 built on the top of a 1979 F-250 pickup, the tiny abode accommodates a 20 square foot loft for cozy, yet comfortable sleeping and eating. 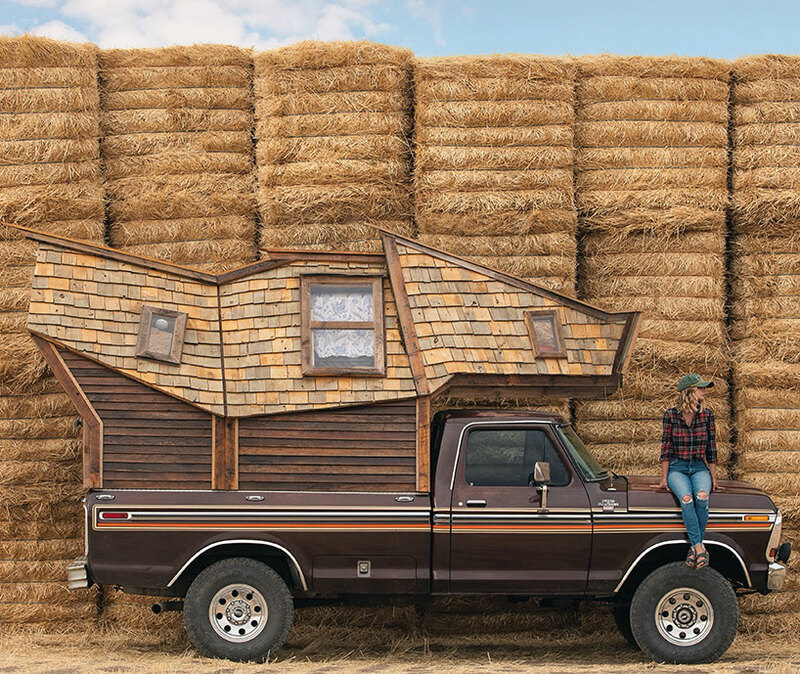 its rustic façade has been meticulously made primarily using salvaged wood, including its siding, roofing and all interior walls and trim. 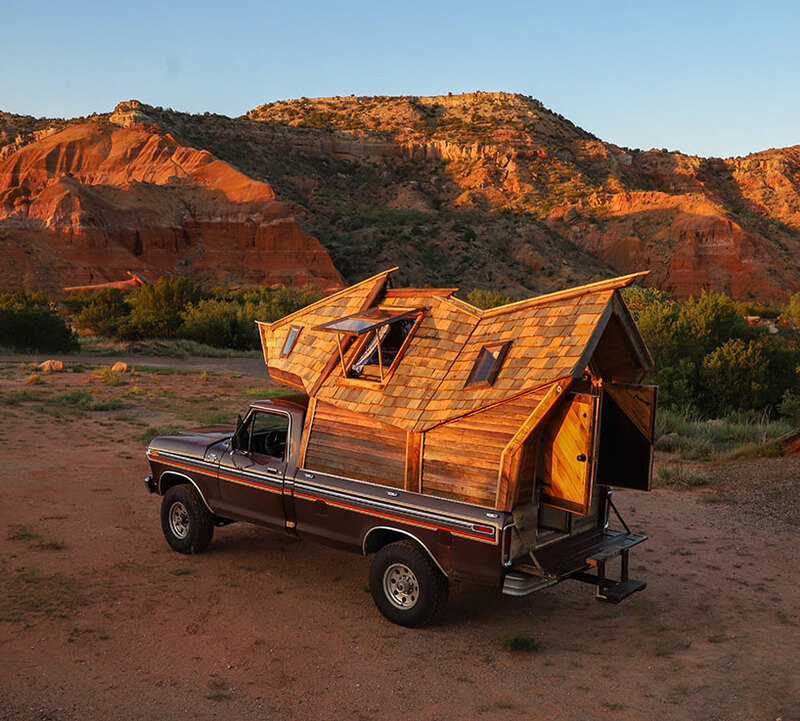 together with his life partner sara underwood, witzling designed the roof and sides to be aerodynamic on the road, adding bends and curves wherever possible to cut through high winds on the highway. 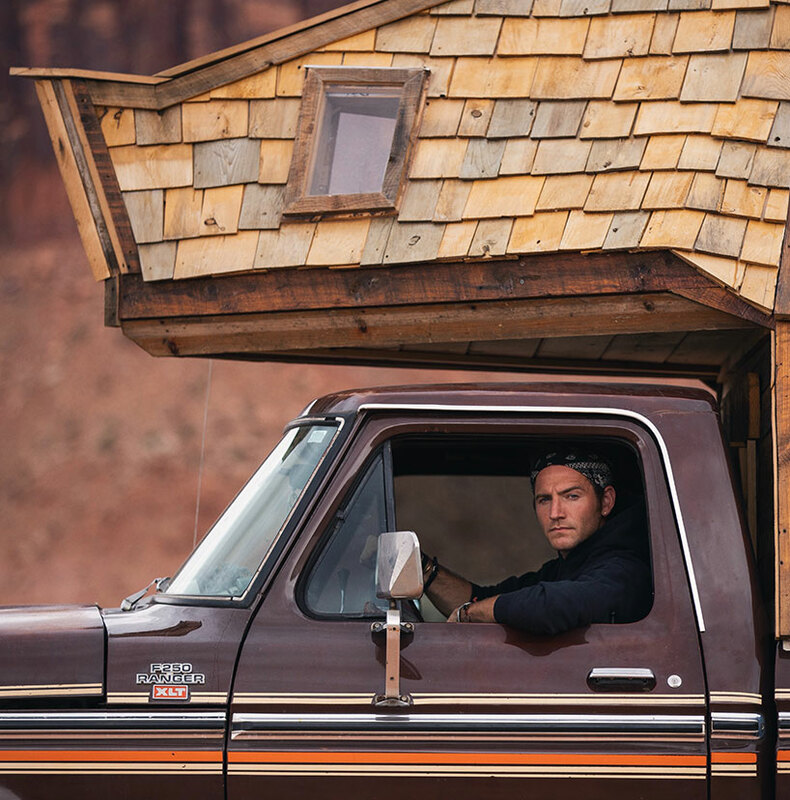 while many of his previous projects have been built for others to enjoy, witzling and underwood created the ‘truck cabin’ just for themselves. 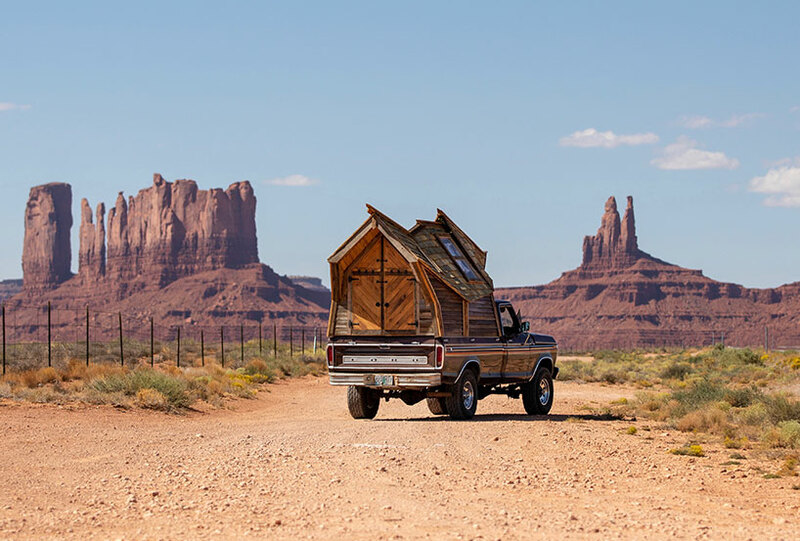 the duo are planning to create a ‘cabinland’ in the pacific northwest on a sprawling property with views of the mountains, where a series of unique structures will be available for people to stay in individually, or book for larger groups and events. 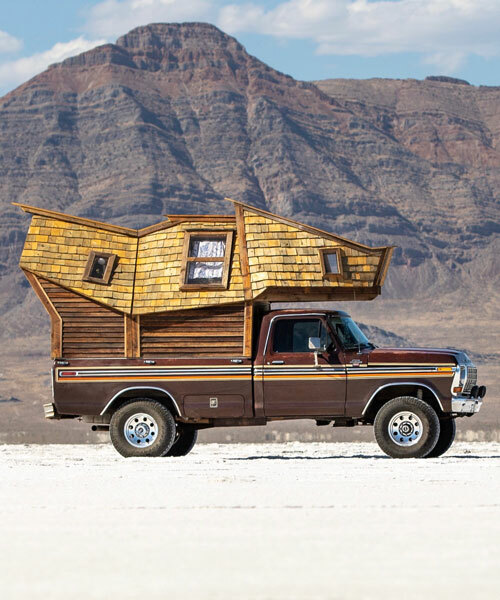 Looks as if construction was supported by Jack Daniels.